Life is hard sometimes, really really hard. 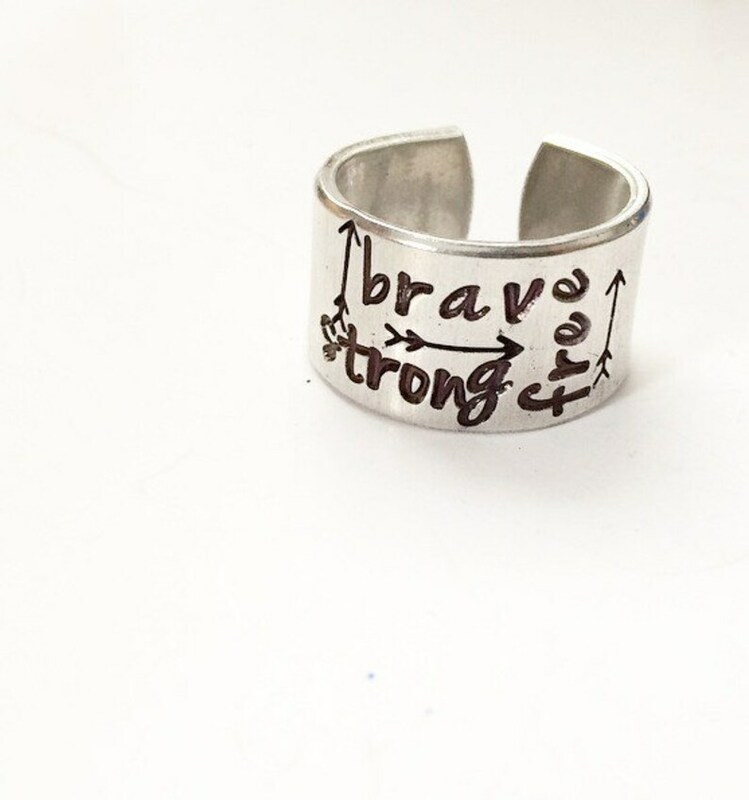 Sometimes we need the reminder that no matter the circumstances we are "Brave, Strong & Free". We all know someone who could benefit from wearing a reminder that they are stronger than whatever is holding them back. The design of this ring has test going different directions and arrows intermixed & is more a free flowing creation.